I received a letter from Sarasvati Dias, which is reproduced below for your knowledge..Thought of sharing the same with my fellow community members. Expect some Individuals or association will head the advice and make an attempt to forge UNITY within community, which has been lacking and is a major cause for present state of affairs. STRENGTH IS BORN OUT OF UNITY, LET US UNITE AND SHOW TO THE POWER THAT BE, OUR STRENGTH. Many years back the society for the Protection of Fundamental Rights worked incessantly for the removal of ULC and Jude de Souza the secretary and I a committee member worked for it and Rajiv Gandhi responded. I myself at my own expense bought copies of the book-The East Indians by Baptista -and gave copies to Balasahib Thackeray, The Police Commissioner Ramamurti and many other ministers, to give them information of the Community. 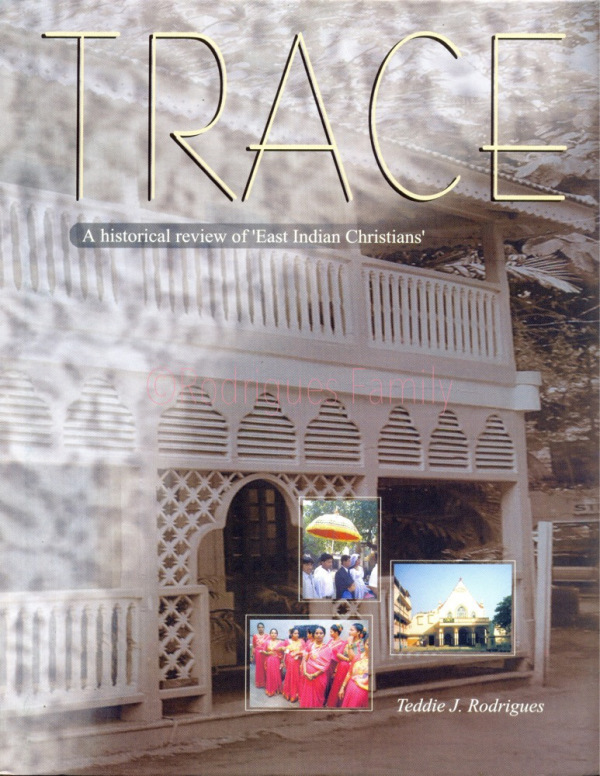 I have now come across a very good book titled TRACE by an East Indian –the late Teddie .J.Rodriques of Vasai in which he has given extensive information on the East Indians- I was really impressed because he has traced the growth of Mumbai and the Rly, being a motorman and also on the groups and culture etc. This book is worthwhile being promoted by all groups engaged in fighting for the rights of the E.I Community and kept in libraries. My suggestion is buy some copies of the book and gift it to the Chief Minister and others to prove your point. I do not mind donating you the amount of Rs 600/- (price is Rs 300/-) for 2 books . Get others to donate like me and give it to the ministers and also to the judges –Chief Justice of the Supreme Court and Maharashtra. it is available from Mahim –S.A.P.Associate –B-14-King’s Corner -Mahim West . Phone 24332235 exactly opposite to Victoria Church and also from Mrs Cassia Pereira- Amboli-Andheri-Phone 26774822. This will help you in your efforts. Send one to the P.M. and another to Sonia Gandhi and enclosing a copy of your earlier letter**. Think over my advice. I am now too old and cannot do any more due to my age. When some groups from Bandra think it is below their dignity to even ask for minority status , what can people like O Neil and Wadala groups do. I met him long back when he came to see me. There is absolutely no unity among East Indians because of the prevailing of caste differences. When the church interferes and asks prominent people not to support fighters like Joseph, what can be done?